Post-Crossword Torpor | A Daily Dose of Zen Sarcasm! It’s Sunday night and we’re trying to sort through the bits of rubble from the crossword. This is NOT the NY Times crossword. If it were, we would instead be sitting in darkened rooms, perhaps hurling feces at each other or peeing in milk bottles. This is the “easy” crossword. I mean no offense to Mr. Olschwang. I think his name does him offense enough. We’ve finally given up. Something about the meleé of clues of “school subj.” that ends in an I, “ermine” –which has several letters that together sound like no human sound– and “type of loading” –suffering from the same problem as “ermine”– we’re stuck, stuck, stuck. I guess we’ll be seeing how silly we’ll feel next Sunday, when the solution arrives. Incidentally…. an ermine, which is a weasel cousin, is of the genus Mustela. This kind of makes me a bit uneasy about putting on my fancy stretchmark lotion (aka Mustela 9 months) and maybe turn into a weasel or something. Cue the strange pregnancy dream I’m sure to have tonight. 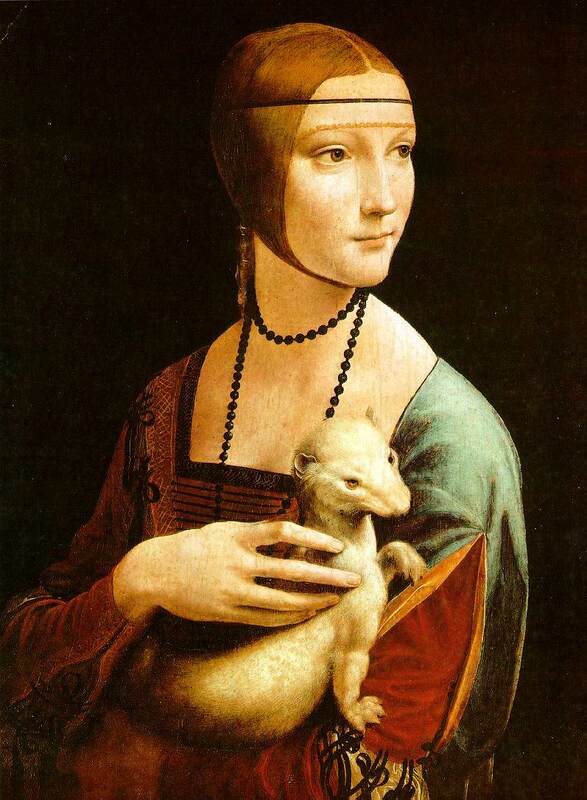 Maybe it’s named that way because it makes your skin silky soft, like ermine (aren’t they cute?). Or mink. Sans fur, I dearly hope. But it would be nice to have a mink coat. There, I said it: I am a little voracious carnivore killer because suddenly a mink coat –or an ermine one– sounds pretty and warm and oooh. Ooh la la. Did I mention we bought diapers for the baby today? I wonder if I put Mustela on baby’s bottom (they also have a baby line, natch) will it become soft and furry as ermine? Or will the kid become as elusive as a weasel while I change it and I will end up with some refuse material smeared all over me? Back to the diapers! They are so tiny! I never thought the Darling Monsieur and I would get excited over something as banal and soon-to-be-filled with poo as a diaper. But we did. I cooed and oohed and squirmed with delight; the Darling Monsieur simply stared with an amused grin on his cute and handsome daddy-to-be face. The itty-bitty newborn diaper we inspected with all the calm contemplation of a chimp over a typewriter revealed itself to have the effigy of Zoë from Sesame Street on it. We tried the little Velcro-ey snaps. We looked inside. We sniffed (do NOT recommend this step, even with new diapers. They smell kinda powdery-gross). We smiled. We put away. We have diapers. And we even used a coupon. Never has the future disposal of poop been this exciting. I ought to get some rest. Seriously starting to sound a bit delirious. 01 Aug	This entry was published on August 1, 2005 at 2:05 am and is filed under The X-pectant Files. Bookmark the permalink. Follow any comments here with the RSS feed for this post. Eeps! The diapers! I’m right there with you. I remember when Elias finally outgrew the newborn swaddlers, I saved a new one just so I could look back at it and marvel over how tiny he started out as. SO CUTE. What’s even more amazing is that for most babies, it takes them a week or two to even be able to fit in the smallest ones… I totally blame that adorable, little Sesame Street diaper for my desire to get pregnant again. Hee.